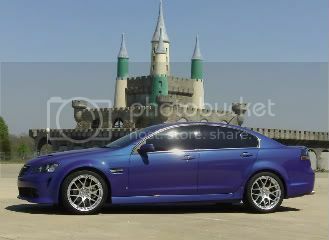 Pontiac G8 Forum: G8 Forums - G8Board.com > Vendors > Kooks Custom Headers > 6712 - SHORTY With No Cats? Do you make, can we order the 6712 shorties with "hollow" (no) cats option? Last edited by SRG963; 01-19-2013 at 03:44 PM. Kind of defeats the purpose of the Mids. They are shorter to make room for cats. 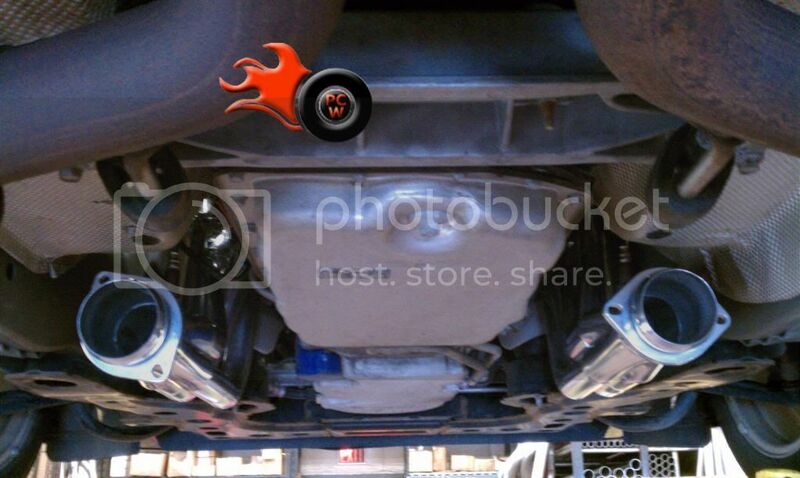 There are several headers that bolt up to the stock system with no cats. I wanted to go with Kooks....don't want LT's for clearance issues....and I don't want cats. Kooks mids with no cats would be perfect for my needs....I can't be the only one wanting these, or am I? The thing with mids is that they're targeted at the price point to be cheaper than LT's, but with near stock fitment replacement of stock manifolds and stock cats. Moreover, the way Kooks fabricates their mids, it's one integrated design of mids+cats, not individual pieces. If you're dead set on stinkymode no-cats (people behind you or when your car is idling will smell a sulpher-like smell that is somewhat unpleasant. Those are the harmful emissions that normal cats and HFC's filter out with heat and chemicals embedded in a ceramic substrate) then there's no reason NOT to go LT's. I have LT's with HFC's myself, and it's not stinky. No clearance issues, as you can see from this picture, my LT's are just about parallel to the frame rail. Honestly, I know your car is tighter and lowered, so your concerns with LT's is valid. Especially with speed bumps or steep driveways. My lowest point on the car is actually the cats themselves, not the LT's... but I've never scraped or hit them that I am aware of, and I don't let anyone else drive my car. Kooks LT's with the off-road midpipe (read: no cats) would not give you any clearance issues I would think if installed properly. Plus not to mention all that newfound power!! Your choice might be "mids with cats" OR LT's without cats. You'll get better results from LT's, but at that time, time to ditch the Superchips. Anyways, subscribed to see how this develops, good luck on your quest, SRG. I see what your saying Doug.....but I believe the shorties are 2 pieces bolted together. It would be easy enough for Kooks to make the shorties without cats IMO.....and use 3" pipe in place of the cats....and save me around $300 for the set. I've said for over 4 years that I was going with Kooks when it was time...and it's just about that time....but cost is an issue for me. I hadn't seen those pictures before, I thought they were fused into one unit with the cats integrated. At least you could see if you could take them apart and sell "brand new Kooks HFCs" on the forum, if there's a demand for them? It all comes down to how much your budget is (gotcha, not much!) and how much you trust your exhaust shop to fab something up to meet your needs. A couple of flanges, a bender for the angle for the off-road pipe, labor to install, etc. Also worth mentioning is that long tube headers are not as expensive as everyone makes them out to be... I got mine "jet-hot" 2100-degree sterling silver coated and shipped direct for a bit under a thousand back last year. If you're looking to spend $350 that's still way too expensive, but at least we can keep the "for Kooks LT's you're at least spending 1200-1500 bucks" ... simply not true. Good luck on your quest. I wonder if possibly calling Kook's customer service line might raise possibility if you can buy the mids sans cats or not. You can get the mids with non-catted pipe. Kooks direct or Maryland Speed or Colorado Speed. They are not cheap, may be cheaper to have a shop make them up local. Get the mids and gut the cats. Or set them aside and have a shop fab a straight through in their place.